Just two points seperate BVB and Gladbach, despite the five places that seperate the teams in the Bundesliga table. Fasten your seat belts, Bundesliga fans, for this season’s sprint for European places is gearing up to be as hectic as the race for last orders on the final day at Oktoberfest. We’re only eleven games in, but already the numbers are sweat-inducing. 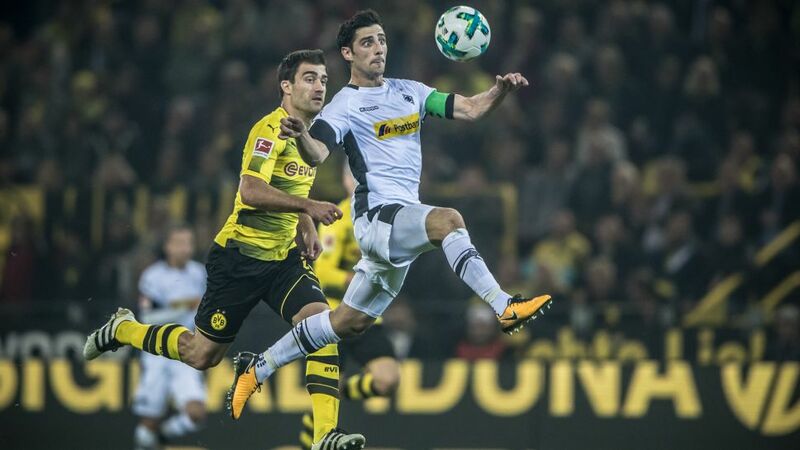 Just two points separate Borussia Dortmund in third spot from the Europe-hungry Borussia Mönchengladbach back in eighth, the lowest the margin between those two positions has ever been at this stage of a Bundesliga season since the three-point rule was introduced. We’ve previously seen figures as paltry as three and as high as ten, but it has never been two points. Watch: HSV and Stuttgart once enjoyed huge Bundesliga surges - watch their MD11 contest below! The season averages may be low – with the top eight proving more effective after the first eleven matches in previous seasons – yet that just makes it all the more difficult to guess who might finish among the European elite. And for the sides currently on the outside and looking in at that group, fear not, for history is on your side. In the past 22 campaigns, 14 teams that were in the bottom half of the table at this point ended the season in the top six! Hamburg's 2003 vintage are still talked about among fans of the great club. Don’t believe us? Check out Hamburg’s remarkable achievement in 2002/03, when the Red Shorts dragged themselves into what would now be considered a UEFA Champions League finishing fourth place. After eleven rounds that season, HSV were in a lowly 13th! Stuttgart, meanwhile, produced a similarly dramatic climb in 2009/10 – the Swabians shooting up from 14th in November to a season-ending sixth. So make your end-of-term predictions at your peril, for we’re just getting warmed up. The rollercoaster ride ahead promises to have plenty of pulsating twists, turns, rises and dips – but Bundesliga fans wouldn’t have it any other way. Click here for the Matchday 12 fixture list!